← Trinity Blood- Series Review-ish. Yes, I did enjoy it but it could have been better. Plot and storyline is highly predictable and yet it exudes an aura of excitement and suspense. It could be that what compelled me to keep watching this series was due to the characters and their interactions with one another; it makes me want to keep watching and wanting to see their romantic relationships, friendships, and rivalry progress. That one episode where it’s a fairytale with a twist that Usui made up or something, I sat through it because I THOUGHT that it would be short and it would quickly return to the storyline but it didn’t… Ugh, I sat through that entire episode. >_> I wish I would’ve skipped that episode. I shouldn’t have watched. I wish they didn’t put that in because it ruined the flow of the story for me. gahh. It would have been nice to know more about Usui-his past, his family, his background. There should have been at least an episode to give us some of that information. It could have given the series that tone of seriousness that it needed. There are only bits and pieces of information about him in the endings but without explanations, they aren’t much on their own. 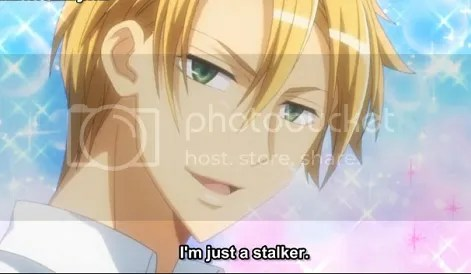 Usui- I love how he acts so cool and collected, usually but when he gets jealous, it’s fun to watch. Misaki- I like her personality and how she stands up for others. -Misaki pulled on Kuuga’s tie and lectured him. Ahh~ She was so cool. -Usui kissed Yukimura. LOL, the censoring made it even worse. It was fun to see the three idiots mostly in chibi form–they were adorable. I like how the show doesn’t leave out characters after their arc is over. At first, I thought I wouldn’t see the three idiots again but they keep appearing which is nice. That one dude with the green hair and Maki, his VP along with Kanou would appear again. I enjoyed it because of the characters but I don’t think I would’ve been missing out if I didn’t see this series. So, watch this only if you have time and have nothing better to do/watch. It’s not like I regret watching this but it just wasn’t that good; at least now, it’s got me interested so I’ll check out the manga. Kimi Ni Todoke is a better choice if you want something more deep. KNT doesn’t have that humor and light atmosphere that Maid-sama has though–it’s a bit more serious, I guess. This entry was posted in Anime, Finished, Kaichou Wa Maid-sama and tagged anime, comedy, Kaichou Wa Maid-sama, Misaki, romance, Usui. Bookmark the permalink. oh i see… maybe they’ll make some ovas? yeah, and I wouldn’t mind OVAs if they provided more background information on the characters. By the way, thanks for the comment on my blog! Completely agree with you. I wondered if you would be willing to add me to your blogroll? And I will of course add you to mine. btw, do you have MAL? if you do, there’s a Yuya fan club that just got started. You should join too but only if you want. ahah..
Who wouldn’t want Yuya? He’s altogether too pretty. And I DO have MAL and will now be doing that because…well obviously, you know? 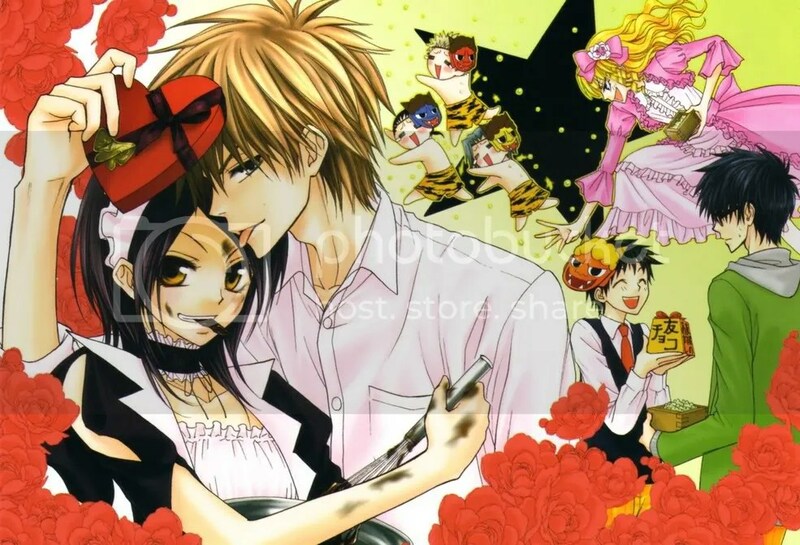 I personally loved Kaichou wa maid sama ALOT! Which character do you feel like you relate to best? 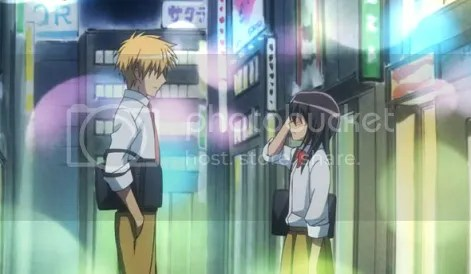 I like the way Misaki and Usui interact with one another, it’s just too adorable. Woo, it must’ve been really hard for her to get it out even though she knew how Usui felt about her.